The 40W Eleaf iStick TC MOD Battery is a new member of iStick family. It has a built-in 2600mAh capacity battery. This istick mod has a maximum output of 40W. So it also is a powerful battery. 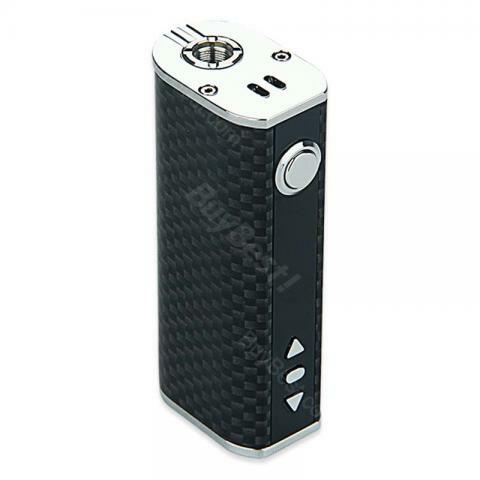 40W Eleaf iStick TC MOD Battery, is a temperature control mod. Both TC-Ni and regular VW mode available with max 40W output. With OLED screen displaying, and precise buttons for adjustment, it's a handy and excellent small size MOD for you! 10 colors available, which come with special edition: Wood, Ripple Waves, Blue & White Porcelain and Carbon Fibre. This is my 2. Eleaf TC 40 W.My wife took it after a week ,she decided to stop smoking. I found a nice one with blue flower for her, so I ordered it. Dissatisfied with the seller's service. The cigarette did not come (lost on the road or someone stole). Opened a dispute. The seller did not want to return the money, said that it would return provided that i choose the subject of the dispute that i changed my mind to buy. When i refused, the seller put that will not return the money. Dispute decided by buy best in my favor, i returned the money. everything ok, original product and perfectly working, this Eleaf iStick TC MOD Battery is good for my tank ,i like the size ,the battery capacity is very durable, and it is very easy to charge , prodotto originale e perfettamente funzionante, spedizione regolare, eccellente Venditore. Super! c'est exactement ce que j’attendais.. Il a 2600 milliampères de batterie, l'endurance est très bonne, j'aime beaucoup, Attention il n’y a pas de câble pour charger la batterie je n’avais pas fais attention à ca, chargeur Universal, donc pas de soucis. A genuine item, well packed and arrived fast as well.